Vaporum is a grid-based, single-player, single-character dungeon crawler game, seen from a first-person perspective in an original steampunk setting, and inspired by old-school games like Dungeon Master I and II, the Eye of the Beholder series, and the more recent Legend of Grimrock I and II. Each enemy type in Vaporum has a distinctive set of strengths, weaknesses, and attack and defense mechanisms, so you’ll have to employ different tactics to beat them. Choose wisely when equipping yourself with gear. Weapons differ from one another not only by damage levels and appearance, but also in their unique bonuses or behaviors. 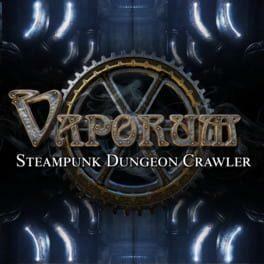 Vaporum is available from 15.99 to 15.99 from 1 shops.